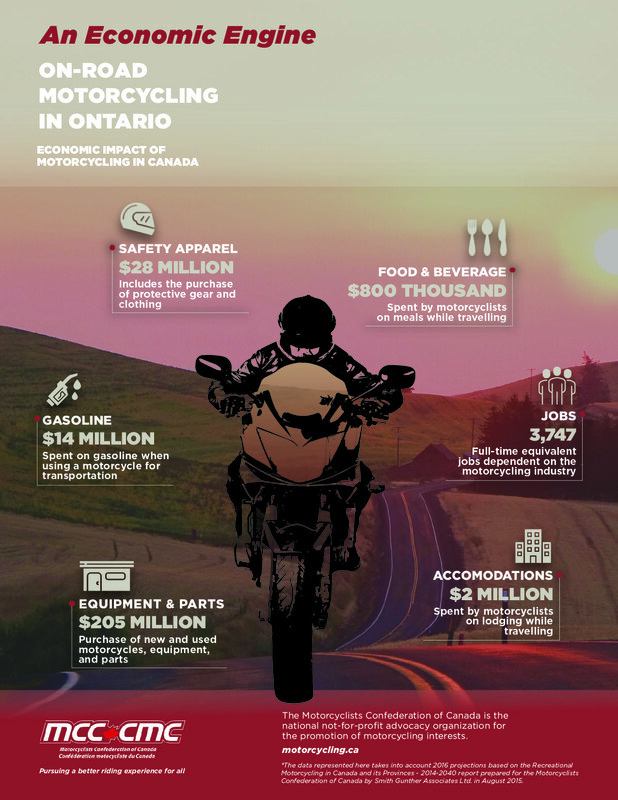 Motorcycling is an important economic engine in Canada. 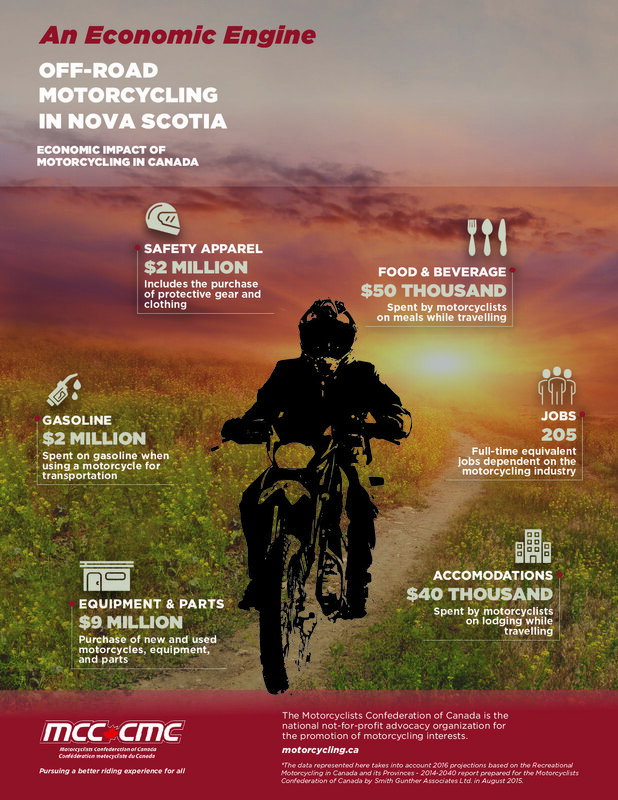 The following infographics demonstrate the economic impact of motorcycling across Canada. 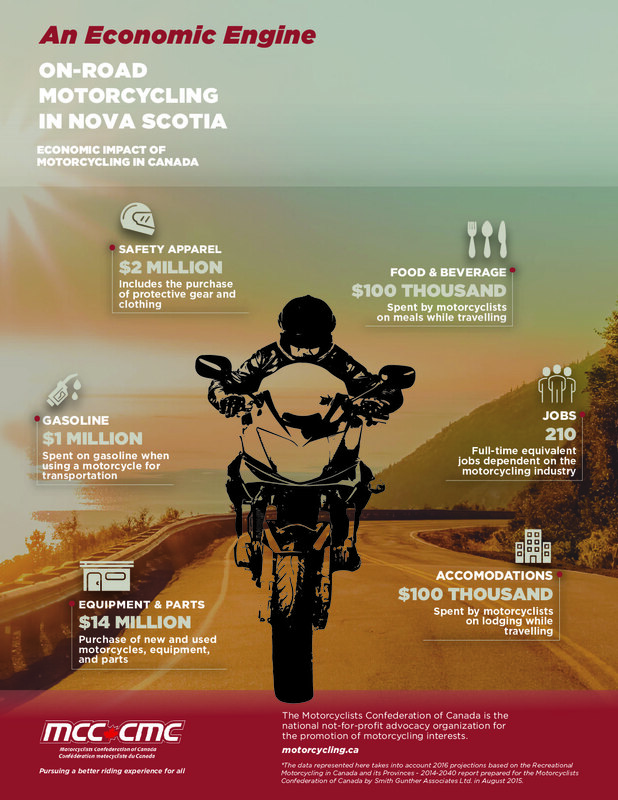 They include national and provincial highlights for both on-road and off-road motorcycling. 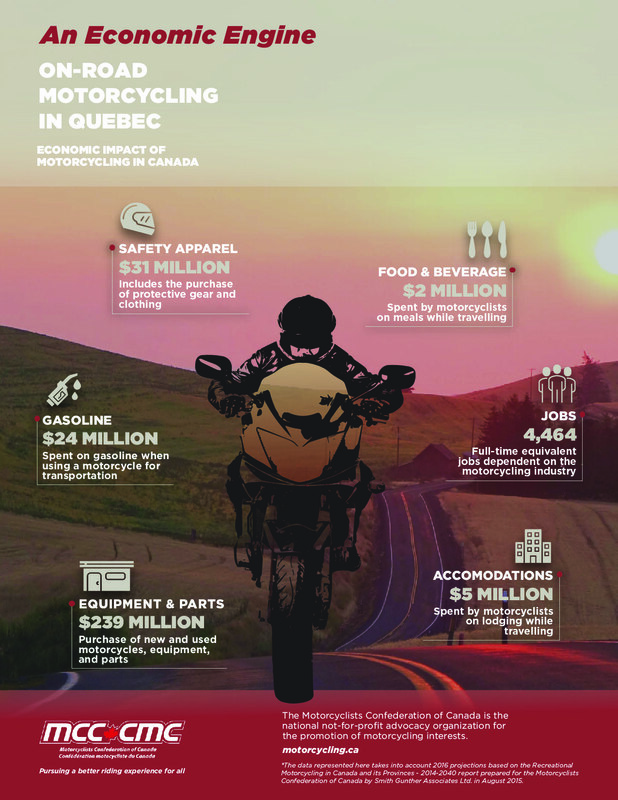 The Motorcycling Infographics in the left column are vertical documents. These traditional infographics can be shared in hard copy form or digitally. 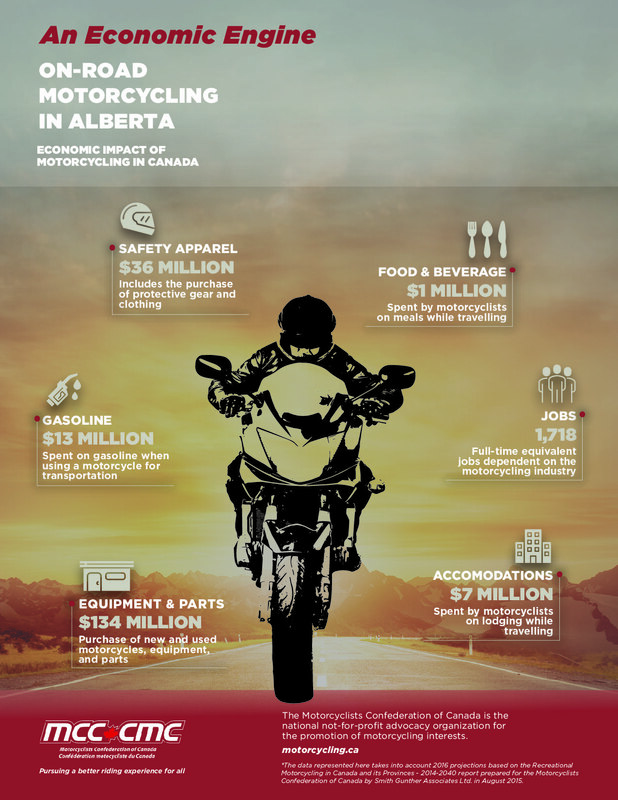 The Motorcycling PowerPoint Slides in the middle column are horizontal documents that can be easily included in PowerPoint presentations and reports. 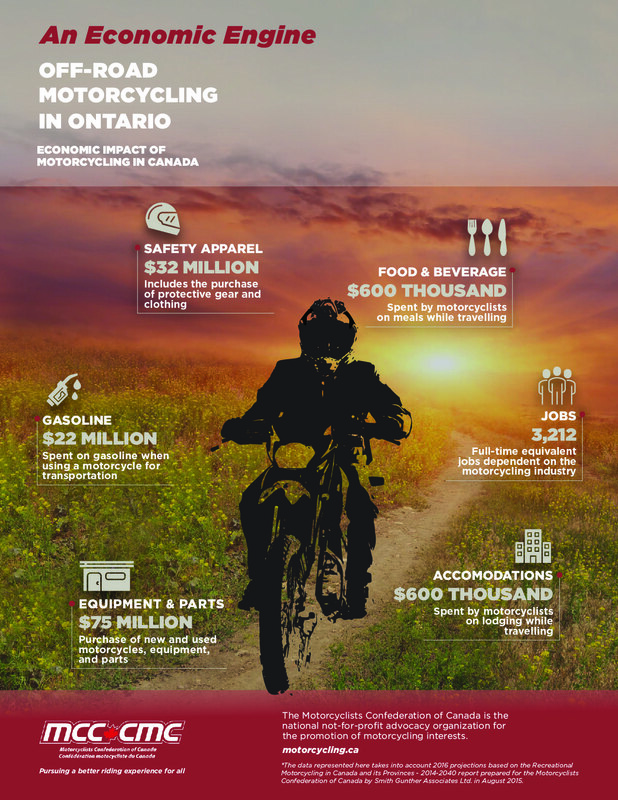 Please use the following infographics and slides for meetings and presentations to your local, provincial, and federal government representatives. They can also be used in news releases, speeches or talking points, briefing notes, columns or letters to the editor, pamphlets or brochures, advertisements, letters, websites, and social media. We have prepared a document to assist you in using the infographics. Click here to download our Briefing Notes. Data represented in these infographics takes into account 2016 projections based on the Recreational Motorcycling in Canada and its Provinces – 2014-2040 report prepared for the Motorcyclists Confederation of Canada by Smith Gunther Associates Ltd. in August 2015. Read the Recreational Motorcycling in Canada Summary Report and the full Recreational Motorcycling in Canada and its Provinces – 2014-2040 Report.